Petals Inc. located in Peabody, Massachusetts specializes in all-occasion flowers, wedding flowers, wedding gifts and accessories, wedding invitations and flower preservation. 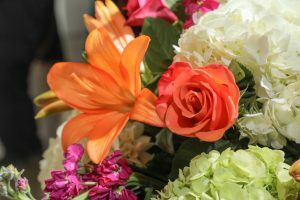 For over 20 years we’ve served thousands of satisfied customers with elegant, uniquely original and long-lasting flower arrangements. We always respond to all our customer needs including: sympathy arrangements to get well delights—holiday celebration splendor to expressing love with stunning roses. We work closely with brides-to-be planning their wedding day floral bouquets, centerpieces and specialty arrangements. Petals has offered many brides creative ideas and beautiful solutions that captivate wedding guests and make their day a fairy tale wedding. Petals’ wedding flowers are recognized throughout Massachusetts and New England. We have worked with brides-to-be from all over the Greater Boston area, the North Shore, Cape Ann and New Hampshire.